This county assails ones senses in an exotic kind of a way. I didn’t realize it is one of many islands in Indonesia that includes Jakarta, Samoa, Lombok and thousands of smaller islands. Bali is an island that is roughly 80 by 300 kilometers. It has a population of 4 million. The average wage is around $120 per month. It considers itself to be the spiritual center of Indonesia. It is a melange of historic influences and neighbouring cultures, some I recognize and other references I do not. It is a confusing hubhub, or vortex of chaos, and a desperate place in the sense that the people are poorer than I understood. I am not comfortable being harassed, ripped off or in a blatant patriarchy so I am I happy to be with a tour that is together. Our guide is Balinese, we are seeing the underside of Bali, and at the same time I feel that I can relax. There are art and carvings everywhere. Prayer is called by priests three times a day throughout the towns and each town has at least three temples. It seems to be melange of Hindi, Bhuddist and Muslim with strong oriental influences. Offerings and shrines are everywhere. They are little banana leaf baskets with offerings of flowers and incense to give back to God in gratitude for what has been given. I am travelling with an average age that is much older and again with people who are from all over the world. 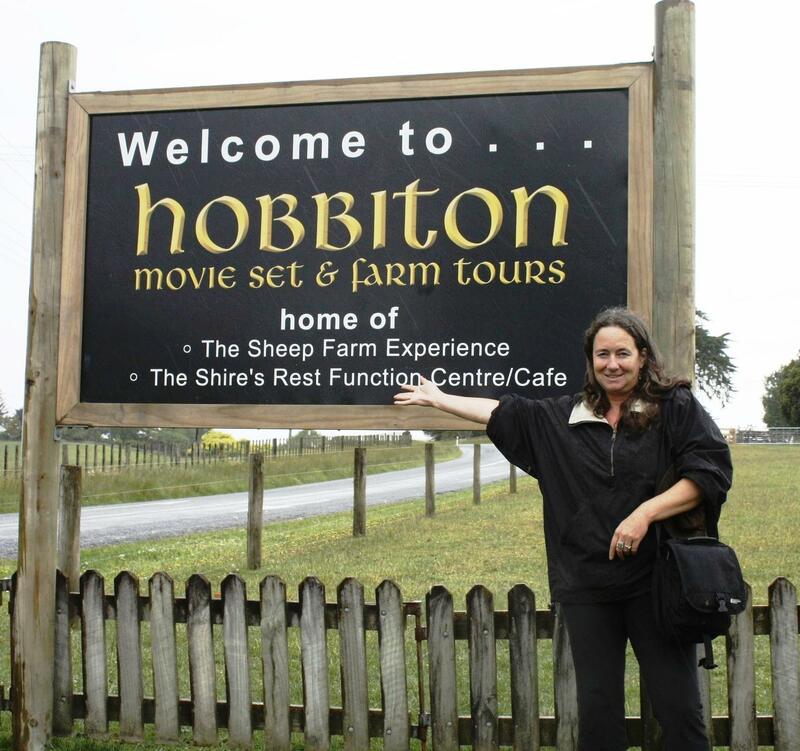 The news from the front is that we passed Peter Jackson and crew filming The Hobbit on a river an hour north of Nelson a few days ago. Kiwis back up their own. It has been suggested that should New Zealand become a sovereign state they would like to replace the image of Queen Elizabeth with his. As he hails from Wellington it was proposed they name the airport after him. He said, “Why would you want to name the airport after someone who could potentially go crazy?” Maybe he was filming that day. I am certain he will have a place in the museum right next to the All Blacks exhibit in the future. The north island has four national parks and the south island has nine national parks. We spent a night by a river in a lovely lodge. 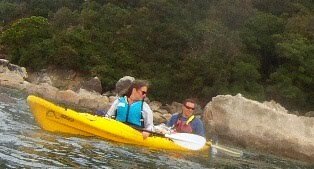 I was fortunate to be able to kayak in Abel Tasman Park and an enormous pod of dolphins came right around us moving very quickly. There were hundreds of them. That was a sweet and extraordinary experience. We have been introduced to some local colour and characters and right now we are in Franz Josef Glacier Park. I wouldn’t have said I am a glacier snob but I am not going to mislead you. Canada has this covered, thanks. I have kayaked in Juneau in front of a calving glacier, the same in Stewart/Hyder, voyaged up the coast all the way to Skagway past some stunning glaciers as well as stared in gob-stopped wonder at what lies between Banff and Jasper to say nothing of the Icefields Parkway, a stunning and beauteous experience. We have glaciers that hands down don’t even come close to this receding icefield halfway up the mountain here. I kept my money thanks (do we charge in Canada? I don’t think so) and was more impressed with hot pools with stones and ferns and spent the morning lolling in a heated “glacier pool” and trying to figure out how I could build one. I am off to kayak a Lake Mapourika. I am looking forward to visiting Queenstown and Milford Sound. My daughters are spending Christmas with their father and I am getting ready to say goodbye to New Zealand, taking advantage of being down under by making an excursion now into Bali. Yes, it is true. I have been to The Shire. They were filming the movie The Hobbit and the prequel to it up until two weeks ago. Peter Jackson and company are now down in Queenstown filming the rest. I was just thrilled to see it. The gardens and some of the props to the set were still there, including a vegetable garden. It was all created so charmingly and lovingly. 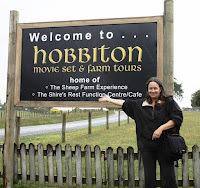 It was quite an enormous area where The Shire was recreated and the hobbit houses are extensive. I wasn’t sure what was more amazing. The set and the fact I was seeing it so soon after the filming or the amazing company I was keeping. The bus driver had me laughing so hard I thought my sides would explode. I also met a great guy who proved to be wonderful company. People are travelling from Europe, mostly Britain, in droves. While others were jumping out of planes I went sailing on pretty Lake Taupo to see rock carvings. We also had further exposure to the Maori culture in Rotarua with a wonderful feast they cooked for us. Here were amazing geothermal pools that gave off steam, much like Yellowstone, and the town reeked of sulphur. Driving south we passed active volcanoes and plains of what looked to be lava fields. It is all about adrenalin with this group, whether it be jumping out of planes, bungying off of cliffs, white water rafting, or underwater caving. While all this has been going on we make our way to interesting places and I realized that if I wanted to eat I was going to have to carry it with me, food not being a priority. I now carry an assortment of plastic spoons, crackers, tangerines and what not. We are just getting ready to leave Wellington, which experiences frequent earth quakes and now we head south. Kia ora. I feel immediately at home here. Landing could almost have been the Vancouver area and the drive in to Aukland could almost have been Granville Street. I read that New Zealand separated from Gondawarra (of which Australia was a part of) over 80 million years ago and 75% of the plant and birds are completely unique to here. Aukland is built on active volcanoes. They seem pretty philosophical about it. (“Civilization exists by geological consent, subject to change without notice” Will Durant, an American historian.) These people are so mad for Rugby they even have a display for the All Blacks in the museum. The national symbol is the Kiwi, a bird which is a descendent of the Emu and the Kiwi does not fly. Aukland lacks the humidity I experienced in Sydney and I seem to need my sweater today, however when the sun shines it burns. It is full on summer. When the New Zealander’s talk there seems to be a mumble that gets progressively worse and towards the end of the sentence the volume is barely audible all of which is clearly interspersed with a pronounced British accent. I learned today that the word Maori is said with a roll of the r and that all r’s are rolled in this tongue. The Maori language is very much in use. I saw a Maori cultural performance at the museum that was wonderful and saw the Haka which the All Blacks mimic before they play. Haka is a performance that is threatening and where the tongue is protruded and is meant to instil fear in the enemy. The dancing I saw seemed so much like what I saw in Hawaii and Tahiti except that the hula is replaced by the waving of the hands and the eyes are widened a great deal. It is very beautiful and graceful to watch. It seems to me that Fiji is more influenced by New Guinea and Samoa and that the Maori’s are descendants of the Polynesians. The Maori culture, like our First Nations, have strong carving and artistic traditions. The Maori had gardens. Their weaving to me is in part, like our Coast Salish. Their traditional house is made of wood, and is called the marae, and is considered representative of the human body. The door is the tongue, the interior is the embodiment of the tribe, and the eaves represent the arms and legs. It is ornately carved with tiki or amo and depict fertility or genealogy much like the clans of our tribes. It is tapu for women to carve. I am in seventh heaven. I am now in Cormandel Peninsula at a place called Hotwater Beach. It is geothermal and if one digs holes in the sand the water is extremely hot. People were bathing in the pools tonight and there were shovels everywhere.I am travelling with a tour group that is a bit startling. I am the oldest and the accommodation is coed. There is a young man getting undressed in front of me. It should be an interesting two weeks. After carefully perusing the news about all the people being eaten by sharks in Perth, I made my way to the ocean. It was a sweet pathway I was walking but something noiseless caught my attention. I turned and there was a snake that had just crossed my path behind me. Not prone to hysteria when it comes to this type of thing I calmly surveyed it. My eye travelled the length and I said to myself, 7 maybe 8 feet. I told myself to take in the markings. A constrictor I said. Maybe I will just be moving right along, time to go, no time to stop for tea, and I slowly backed away thinking, my goodness. In the wattle I could hear brushing noises and my heart wildy leaped and settled again as I determined it was a turkey type creature looking for bugs. The path opened and the grand vista of the ocean appeared before me. The base of a creek formed a lagoon there and I thought I could maybe put my feet in a foot of water without worrying about great whites. As I sat and watched the ocean, it became clear to me there were whales breaching out there. I have read that this is where humpacks come but the whales looked to me like Killer Whales because I could see black and white markings. That magic of seeing them uplifted me. They seemed to be having such fun. The beach is amazing, it goes on and on, much longer than anything we have on the west coast. In fact I have decided Byron Bay is like Ganges grown about 15 times and the surrounding beaches like a tropical Long Beach that is also 15 times but clearer, whiter, bluer, softer and emptier. The town is teeming with people, not the laid back place I envisioned at all. This area was first discovered by Captain Cook and he named the bay after Lord Byron's grandfather. It became a place where whales were slaughtered up until 1960 or so when it was made illegal. Now the whale population has returned after almost dying out. There is a huge alternative community here to the point where I feel I have gone back in time. There seems to be a predominantly younger population, all healthy and beautiful. The energy here is quite wonderful. I am glad I came. I am readying now to travel to Tasmania. I am joining Sarah there. Sarah and I turned 17 together when we worked with the Anglican Church in the Yukon, travelling from town to town. Our birthdays are on the same day. We have been good friends ever since. Sarah was extremely important to me this spring when she stayed with me on Salt Spring. She tells me she has a lot for me to do there to help her. I will be so glad to see her. I am also hugely curious about Tasmania. I will write to you again from there. I have seen wattle. It was clearly signed. I could say the echidnas were in the wattle or better, after I ate the pavlova I saw the echidna waddling through the wattle. The man on the ferry said, “Please dispose of your rubbish thoughtfully.” She thoughtfully disposed of her rubbish after eating pavlova then waddled with the echidna in the wattle by the billabong into the dreamtime never to be heard or seen from again. Okay. I’m fooling with you. Here for yes, they say “Hmmm”. Or they say “Yeeaah”. Depending on where you are from one replacing the “e” with “i” to really draw it out. I had an egg and cos sandwich (egg and romaine). A bathing suit is a costume, luggage is a case, dinner is tea, alley is laneway, really chill is really relaxed, and guy is bloke. Good morning just won’t do. I get looked at strangely. It has to be g’day. As one comes up the coast “How are you going?” gets shortened to the colloquial “How ya go?” Dame Edna isn’t kidding. The bus driver calls me darling, the lady in the shop calls me darling. Seeing myself with a different “overculture” is why I travel. Not in one’s own world but not in the other, one can step back and look at things with new moisture and richness, creativity germinates to life, events reveal themselves in new light. Someone who I thought knew me well spoke of the “invisible woman” and said that she “saw” me. I just stared at her. She is the same age as me and I am very much in front of her. Why are we even having this conversation? There is a change, though. I can sit and feel peace and not be marauded by men. When I was younger I was never left alone to the point where it was often uncomfortable, the attention unwanted, travelling through North Africa and around the Mediterranean (oh Sicily!) fraught with harassment. However I am so visible I am etched - that is visible to myself, which is what it is all about. My own interior landscape is reflected to me as I survey brick house after brick house go by, winding rivers, a surprisingly pastoral geography and the startling image of cows grazing under palm trees, I feel a kind of quiet happiness. It is good to be here. It is a beautiful city. I come from Vancouver and I am using that as a reference point when I say this. I concede. Yes, Vancouver, perhaps may still have an edge with the snow-capped north shore but this city is truly stunning and I don’t often like cities. Harbours glisten with sailboats, charming architecture that is reminiscent of old glory, and streets that are often paved with brick, well-marked, well signed, (Vancouver cannot claim this) and when one stands at the curb it has painted on it “look right” which is an extremely helpful reminder for me as everything is opposite here in terms of traffic direction. What also strikes me is that the city is teeming with younger people in business; it seems healthy and thriving economically with a compassionate socialist network. It is a pleasure to be here – Australia has forged economic ties with China and their natural resources are a huge factor. There seems to be a strong sense of family, lots of school children, often in really smart looking uniforms. They are big on suits, women as well as men. I was warned about the costs of things and still I find myself gasping. It is two, three, and four times what one would pay at home. Endings and beginnings are difficult, and as this was a new beginning, I found I was deeply moved by the ties I had formed with the Australians I had met and was sad by our parting. I also felt comfortable embracing the city given how friendly I knew they all could be. That said, next I had one of the worst nights of my life in a cheap dorm, it was impossible to sleep, and strange things happened. I moved on. Last night I had a room to myself and slept like a baby – worth every expensive penny. I have seen the museum, art gallery, botanical gardens, the zoo. I have explored the creatures that abound here at present and historically and there are a lot of rat-like looking things that just aren’t all that cuddly. The museum had a good cultural display of the indigenous peoples and I really took my time to hear the stories and study the tools and art. I am surprised there isn’t more interface with the culture that is endemic and the culture that was introduced, it is an impression I have. I loved the zoo. It makes an amazing impression as it overlooks the harbour and one may view giraffes for example with a stunning ocean backdrop. They have gondolas that can be ridden up the vertical face the zoo is positioned on. I saw a Sun Bear for the first time, a creature that looked like a dish mop with a long cute snout that ate ants called an echidna – similar to the porcupine family, kangaroos, markeets, Himalayan goats, a beautiful big aging Kodiak Bear that must be dying of the heat here eating bok choy and celery – she made my heart leap out of my chest, a snow leopard that seemed very intelligent. On the whole the zoo appeared to be well tended and well kept. Everywhere here there are exotic birds, by that I mean parrots and other types that are colourfully marked. The botanical gardens were really an amazing place, exotic, beautiful, very old with huge plants and trees, some of which are completely strange but all looking well kept. It is a greatly inviting place and I found myself entranced by it. In my walk through I saw enormous bats hanging from the trees as bats are wont to do, the Aussies call them Flying Foxes. I made a wish at the wishing tree and admired enormous cacti and ancient tree species with coniferous looking leaves. Everywhere one goes though, the reference point of the Sydney Opera House is evident, it really is a stunning piece of architecture, just perfect where it is and the landscape would be almost wrong without it. The structure is reminiscent of sails, a``showcase of innovative design and engineering.`` Last night there were people all dressed up spilling out of it having wine along the ocean wall waiting for the performance and I was almost hit by the wall of sound that was the conversation of hundreds of people at the side of the ocean. It was wonderful. Tonight I am going there to see a performance and I am really looking forward to it. Then I will travel 13 hours up the east coast to a place called Byron Bay. The firewalkers were really amazing. I was glad to have seen them. They did walked the stones with a priest overseeing them and wore grass skirts made of hibiscus. Traditionally one has to be chosen to be a firewalker - one is not supposed to eat coconut before walking the fire, or be with a woman. There were a lot of yips and howls as they prepared for the walk. Legend has it that the ability to do this was given by a sea god. Later we watched dancing and a kind of a Fijian play. They did a good job of it. I have to say that the people seem so welcoming and kind. It really surprises me. You know it is hot when the Fijians themselves are complaining and the perspiration is dripping off of them. I can barely manage. It is summer here. Rain just seems to increase the humidity. Don`t ask me how that works. Yesterday we were at Dravuni Island which I think is part of the Tonga Islands or very close to it. It was lovely to be on land and rest on a beach. I was not feeling very well so I just let myself relax into the tropical paradise without trying to keep up with my overly busy mind which apparently is what my body was asking of me. The people seem to be getting physically larger, darker, and curly haired as we travel south, and again I am struck by the cooperation of how they work with one another and the friendliness. It`s humbling. I was asked if I wanted a Fijian husband, I was sorry to tell the man that I probably didn`t, nice as he seemed – I am wearing a ring now on my fourth finger – I don`t have the strength, maybe because I am not feeling well. Women here have to stay seated on the ground or always be lower than the man, especially the chief. I don’t think this opportunity is me, really. Tomorrow we will be in Noumea, New Caledonia, which is French. The Australians are quite fussed about it as they don’t learn French in school and the New Caledonians will not speak English. I am very grateful to have been able to experience all of this. Soon this part of my trip will be over and the next leg of my journey will begin. Australia. We have travlled a couple of days to Fiji consists of an astonishing 333 islands, with many dialects, one in common being the business language and what is taught in schools. Bulla means hello, and everywhere people said this to us and waved, not a lot of people speaking English. I signed on for a tour that was a kava ceremony and that was really quite lovely – I didn`t have any kava but the singing and dancing seemed friendly and gentle and I was asked to dance twice with the male dancers – which I readily did. I didn`t want to say no in case they decided to have me for dinner. We also visited an orchid garden that belonged to Raymond Burr, I didn`t know Raymond had an orchid garden. I understand now why my orchids at my home go into some kind of inert stasis. They need a lot of heat and moisture in the air, not necessarily much light. I am doing poorly in this heat. Not an orchid, apparently, am I. I don’t think I will be moving here. Tomorrow I am seeing firewalkers. We arrived in Vanuatu, which is a country liberated from a joint ownership between France and England. This area was formerly known as New Hebrides and before that this was known as the Sandwich Islands, I believe so named by Captain Cook. Vanuatu is an archipelago of 83 islands in the Coral Sea with over 100 dialects, populated by a quarter of a million peoples. These islands are volcanic in origin (whereas New Caledonia was a makatea, a coral atoll) and the volcanoes here are active. There is a lot of earthquake activity in this area. The language is varied but one that is spoken is a kind of pigeon English which looked nonsensical when written but as I studied it the words and meaning revealed themselves to me. It is very humid in this country, the humidity at this time is 85%, something which my celtic blood literally wilts in. Trying not to keel over, I visited a gallery, museum, the city of Vanu and on a tour also, visited a cultural village and was introduced to the people and chief who live here close to traditional ways. Cannibalism was known to the north as recently as 25 years ago. It makes you wonder what doesn’t make the tourist news. If one marries one’s front teeth are knocked out to indicate marital status. It is a patriarchal culture, the wife must leave her family and live with her in-laws. Wealth is transferred to the son. It was also mentioned that the first born, being a girl, would often be killed because of this. The number of feathers in the headdress indicates how many pigs owned and therefore a lot of feathers indicate great wealth. We were shown a means of fishing with using a spider`s web to create the fish net and we were shown the spider that was used for this. It was enormous, the size of my hand, very graceful, with globules in the leg joints that refracted light. We were show marae, gardens in the forest where these 500 people live and gather, the sky canopied by jungle, orchids flowering, the sound of cicadas a deafening whir. I was intrigued by the spirit poles, they looked so much like space beings, and not particularly the kind I should like to run into. They eat a land crustacean, that is blue in color which one traps by leaving coconut on the ground. On a less sobering note I was further intrigued by a gallery of “found” art, the artist being European French, who worked much in the fashion of Picasso. It was a visual feast and one I wasn’t able to spend enough time in. The Chinese have made business overtures and built the parliament buildings as a “gift” in thanks for the trade, a fact that the tourist guide spoke proudly of which I should think isn’t all that settling. Tourism is half the business here as well. The tour guide (who did not have front teeth, by the way) read my palm and guess what? It is all coming up roses with me. She said I have an interesting life (I do) and there will be a miracle at the end of it. She said more but I will leave you with that as I have to chase down a cappuccino as my next order of the day. I hope I can get some photos mounted to this page, it really is impressive the cultural exposure I have been blessed to experience and my words I fear, fall far short. Well it’s tropical all of a sudden. Coconuts, palm trees, searing temperatures, beet red face, that sort of thing. Still I was the only one in the pool this morning. I’m Canadian, after all. To me the water is warmer than the public pool on Salt Spring. Not to the Aussies. I am the only Canadian on board that I know so far. Today we were in New Caledonia, the largest of the Loyalty Islands and this is Micronesia. I vaguely remember taking an archaeology course about Micronesia. Can’t really remember much about it really. New Caledonia is a French territory. I did well being from Canada. I can speak French. I met the nicest people. Honestly, so incredibly kind. They worked cooperatively with each other to show me a lot of amazing trees, a grotto, blue crabs, how to hunt. I danced with them. They were just so warm hearted. The women wore missionary dresses in bright colours with headdresses made of what looked like chicken feathers. The boys did dances for us. A lot of them had white paint on their cheeks. The ocean of New Caledonia was well, incredibly warm. Almost bathtub warm. I thought I saw a manta ray. Tomorrow I might be seeing fire walkers, not sure. The internet connection is abysmal and expensive, by the time I load a page from Google it costs me an obscene amount of money. If I get this up it means the connection is better. Vive la France. G’day mate. How are you going? Good on you. Here drinking “Flat White” and enjoying the denizens of the Land Of Oz. I survived the flight – however on landing we were quarantined on the plane while they sprayed the overhead luggage and we had to sit in the spray for 15 minutes trying not to keel over. A bit difficult, really. Sidney was a surprise. I like the flavour of the Victorian architecture built with pale stone. I saw a large bird with a curved beak walking on the sidewalk. The Aussies I have met have been full of teasing and fun – a great sense of humour and so very friendly and helpful. Slipping away from Sydney Harbour on this ship embarking for points east I enjoyed the views of the famous Sydney Opera House and the charming harbours dotted with sail boats. My shoes seem to be at least half a pound. I have stepped on and off the scales twice to check. I should have bought those pink mesh numbers that were on sale that I noticed on my last trip to town. Too late now. I’m committed to the hefty leather protection these render. One has to have stout walking shoes, after all, this is a walkabout I am undertaking. I stare at my new Birks feeling somewhat calm. Some items packed feel just right. I have unpacked and repacked three times and I am considering a fourth today. I thought I could just do this and be done with it and move onto something more constructive but packing seems to be a pervasive and thoughtful process that takes up an entire room and more days than I care to acknowledge. I have decided this is a bit like ascending K2. Every item is considered for weight, usefulness and compacted where possible with the thought in mind I might have to marry a chiropractor if I wish to get on in life. I have lost weight recently I notice. I must be lightening up. I take this as a good sign. I am writing from the harbour of Ganges, the sunlight is reflecting off of the water, the boats are at anchor, and I am eating an exotic breakfast lovingly made, a rainbow is shining over the home where I live, the rain has abated, and the world seems luminescent in the light of a new day. This world we live in is so beautiful. Now I journey. It will be a beauty out-manifesting from the great pallet of creation that is a different form. I go to Sidney, Australia and then I am boarding a ship. The journey will take me to islands that are French and Fijian with exotic names such as Savu Savu, Dravinis Island, Suva, New Caledonia, Vanuatu. Maybe I will see fire walkers, eat exotic fruit, and walk turquoise lagoons, and stare at tattoos of woad that tell stories. Candied pink and yellow colonial architecture will be set amid jungles, and interesting peoples will populate my day. I will not be the same. My life is changing and I am glad of it. I wonder what will come of this and how I will be affected by the paintbrush moving through my soul of new washes and impressions of the beauty of this jewel of a planet where we live. Heliotropism means going towards the sun. It was first noted by Leonardo Da Vinci as sunflowers were observed moving their giant heads of yellow petals in circular motion as they follow the sun’s passage through the sky. As the season turns I find myself getting flashes of the south, a land I have often wondered about and where I will soon be. To accomplish this I am already discovering sundry knowledge that my daughters are well versed in - such as seeing a doctor for shots for the journey are not covered by Medicare, neither the visit, nor the vaccines. When did that happen? It used to be! I am now apprised on the habits of the mosquito that give yellow fever and am armed with a prescription should I ever have to repeat what I went through in Cairo all those years ago, an indelibly etched experience of clutching an Egyptian bidet praying mightily that I might meet my maker and be put out of my misery, the sooner the better. I have also solved the problem of excess weight, being a bibliophile. After seriously worrying at the bit, I bought a Kindle. I am absolutely amazed to discover I love the thing, a surprising turn. It is small and light yet has on it 15 or more books. It isn’t as fancy as an Ipad but it is actually smaller and weighs less, I can cart it easily in my purse and I find that I love how it handles and feels in my hand. Horizons are being expanded, my soul warmed by the fires of the south at this distance, and there are people to meet, places to go, magic to feel, experiences to be integrated, wisdom to be deepened. It is good to be feeling hope deepen. I love my home. Don't get me wrong. I am starting though to feel a little feint. Suddenly my own bed seems remarkably cosy and I find myself clinging to familiarities, like a barnacle. Someone asked me recently why I was doing this. 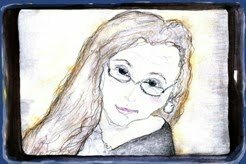 It seemed suddenly like an incredibly personal question and while I answered from my truth, I felt my insides turn to jello. I seem to remember that I love to travel and I seem to remember I have always been curious about the part of the world to which I am going. I am noticing that my preparations for departure are akin to that of a zen master, it requires great focus and concentration. I realize I cannot get bogged down by the reactions of others, plans have been made, tickets bought, and now I must shoot out of the womb-like quiver of my beloved home and straight as an arrow make my mark. There is a an interior soul reconstruction that is formulating, a moving geographic meditation, as I respond to my soul that has coaxed and called me to this. As Wayne Dyer says, in a hundred years, none of us will be here, a startling but obvious thought, and one that renders perspective. Each day is a present and I go to open my presents with presence. I am preparing to travel "down under". (What do they say when they come here? Do you think they say "up above"? Maybe not. I will try to get back to you on this.) Not only has a major earthquake just occurred where I live, a major earthquake has occurred where I am going. As if in response, my bones seems to be reverberating to all this movement and today I am booked in with a chiropractor. Are my bones responding to the earth and also to my inner call to travel? And what will be the outcome of all this movement? Sometimes it is best to be still and sometimes it is best to move. I am wondering at the timing of this but I deeply trust what is coming from within and am going with the flow, trusting all is well no matter what the crackling changes are within the bones of the earth and within the bones that contain my soul. I am grateful to be living at a time where being attuned to such new experiences are possible.